Nobody's Perfect is a live album released in 1988 by Deep Purple. It was recorded on their The House of Blue Light tour during 1987/88. Recorded live on 6 September 1987 in Verona Italy, 22 August 1987 in Oslo Norway, 23 May 1987 in Irvine Meadows, 30 May 1987 in Phoenix and 26 February 1988 at Hook End Manor in England. The album peaked at number 105 on the Billboard 200 in the US. Track transitions are marked by fades. It also contains a new studio version of "Hush" to commemorate their 20th anniversary. "Black Night" was also re-recorded but never released. "Hard Lovin' Woman" includes parts of "Under The Gun" during Blackmore's guitar solo. "Strange Kind of Woman" includes parts of Jesus Christ Superstar. 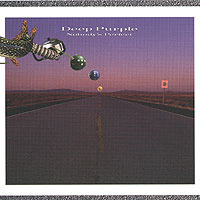 The album represented Deep Purple's setlist at the time, which consisted much of the typical "Made In Japan (album)" set, combined with newer material from the 1984 reunion album Perfect Strangers and The House of Blue Light. Songs such as "The Unwritten Law" and "Difficult To Cure" were played every night on the tour, but were not represented on this album.